Power plant market activity was at a good level in the fourth quarter of 2012, and the level of quoted MWs was higher than in the third quarter. The number of quotes also increased compared to previous quarters in 2012. 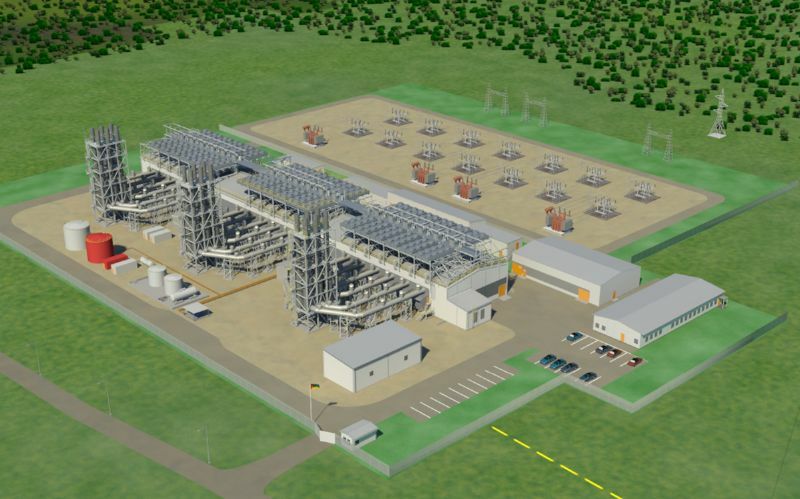 Activity remains focused on natural gas based generation. Supported by their economic growth, the emerging markets continued to invest in new power generation capacity. However, the uncertainty of economic development continues to delay investment decisions in the power generation markets overall. Activity was strongest in the flexible baseload segment. During the first half of 2012 global orders for natural gas and liquid fuel based power generation (including all prime mover units of over five MW) totalled 28.8 GW, a decrease of 39%. Wärtsilä's share represents 4.9% of the market (3.3% for the full year 2011). During the fourth quarter of 2012, 199 contracts for new vessels were registered. The total number of new registered vessel contracts in 2012 was 1,090, which is a decrease of 35% compared to the previous year. Overall, 2012 was a difficult year for the traditional merchant segment that continued to struggle with overcapacity. There was a diverse mix of orders in 2012 with a clear emphasis on the contracting of offshore and specialised vessels. The LNG and LPG carrier markets also had an active year with 35 LNG carrier contracts booked. During 2012, shipping started to be more affected by the challenges of emission reductions and other environmental responsibilities. China and South Korea continued to be the dominant countries in shipbuilding, capturing 35% and 34% respectively of the contracts confirmed in 2012 in terms of compensated gross tonnage (CGT). Brazil, Norway and the USA stood out amongst the small shipbuilding nations that captured new building contracts during 2012. 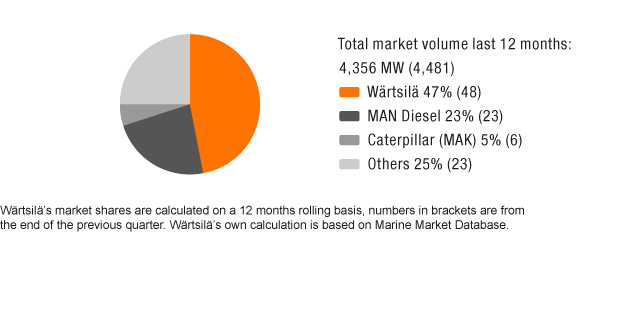 Wärtsilä's share of the medium-speed main engine market remained high at 47% (48% at the end of the previous quarter). The market share in low-speed engines remained stable at 18% (18). 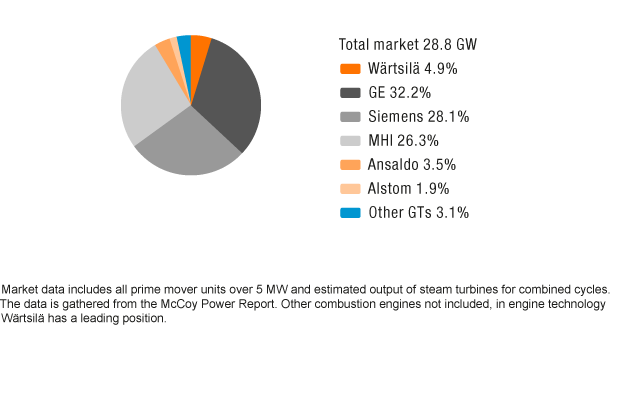 In the auxiliary engine market, Wärtsilä's share was 4% (5). The stable services market development continued in all areas during 2012. Development in the power plants and offshore markets continued to be strong. From a regional perspective, the market was still the most active in the Middle East and Asia. At the end of 2012, Wärtsilä's installed base was 181,200 MW, representing an increase of 1% compared to the previous year. The installed power plants base continued to increase during 2012, while the marine installed base showed a slight decline. This decline is due to the scrapping of older merchant vessels with large 2-stroke engines.